The Cordoba Mini R is the ultimate travel instrument, offering the playability of a full size nylon-string guitar in a compact, lightweight body with an impressively loud voice. This miniature guitar features a solid spruce top paired with rosewood back and sides for a deep, full tone. Its comfortable, thin U-shaped neck and 50mm nut width offers the feel and string spacing of a full-size guitar. It has a scale length of 510mm, and is tuned from A to A (ADGCEa). The Cordoba Mini R is a perfect companion for road trips, vacations, and hanging out at home. Includes a Cordoba gig bag. Keep your fingers happy wherever you are. Order today. I like taking a guitar wherever I go, and I travel quite a bit. I was looking for a guitar that wasn't too expensive, sounded great, played nice, solid top, was small enough that I could carry it anywhere, fit in overhead compartments, was still tuned like a standard guitar, and was built well enough to take a beating. I know, a pretty tall order, but the Cordoba Mini fit the bill perfectly. I opted for the more expensive rosewood model since it wasn't much more. Sound is pretty much the same as the Mahogany, but I liked the looks and figured the binding would make it a little more durable. I've been playing it for about 6 months now, and I absolutely love it. Sound with the A tuned strings is exceptional and with the E tuning it's still very nice. Good volume, fairly well balanced, and a nice low end for a guitar of this size. 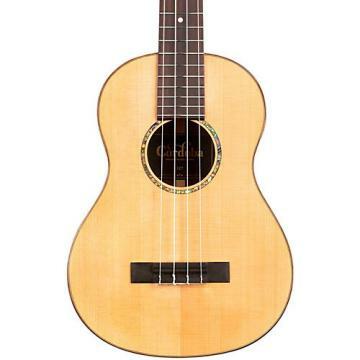 The neck has a shorter scale length, but it's still has a standard width so your fingers have enough space if you play classical or do complex finger work. 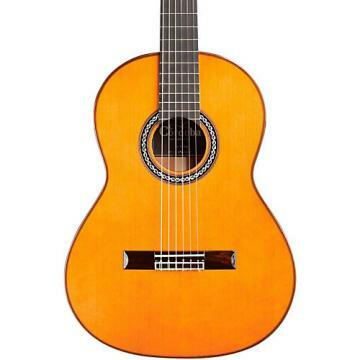 If you're looking for a nice quality nylon string travel guitar that won't break the bank, but will still deliver the goods. This is it. It's difficult to find a travel guitar that's actually a pleasure to play and I love playing my Mini. I often just pick it up to play when I'm just hanging around the house. I've taken it on planes a number of times and traveled internationally with it. It's small enough that you will never have an issue finding a space in overhead baggage and on some planes, you can get away with fitting it under your seats. It's been to the beach quite a bit, I've kept it in the trunk of my car in direct sunlight in 100 degree weather with zero issues. It's been dropped a number of times while in it's gig bag. I haven't exactly taken good care of it, but that's sort of the point. .I purchased this baby at a great price due to it being an open box, extra 10% bonus discount, & backstage pass credit. The strings were worn so I replaced them with a set of Savarez Leonida 532s that I had laying around. I used the ball ends that came with the original strings (no need to purchased ball end nylon strings) and they sound great (next change I'll try a higher tension set). Great sound being relative to a tiny body and short scale. The intonation is nearly perfect (surprise, surprise). As you go higher up the neck the frets get pretty close together so I occaisionly need to look at my left hand which I rarely do with regular guitars. 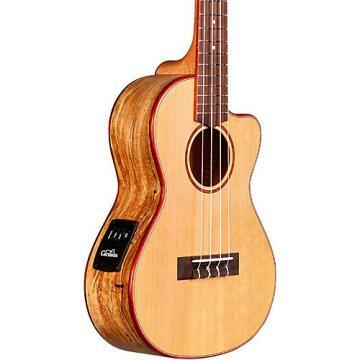 This model has the "rosewood" sides and back but I imagine the mahogany model (fifty USD less) should sound the same.